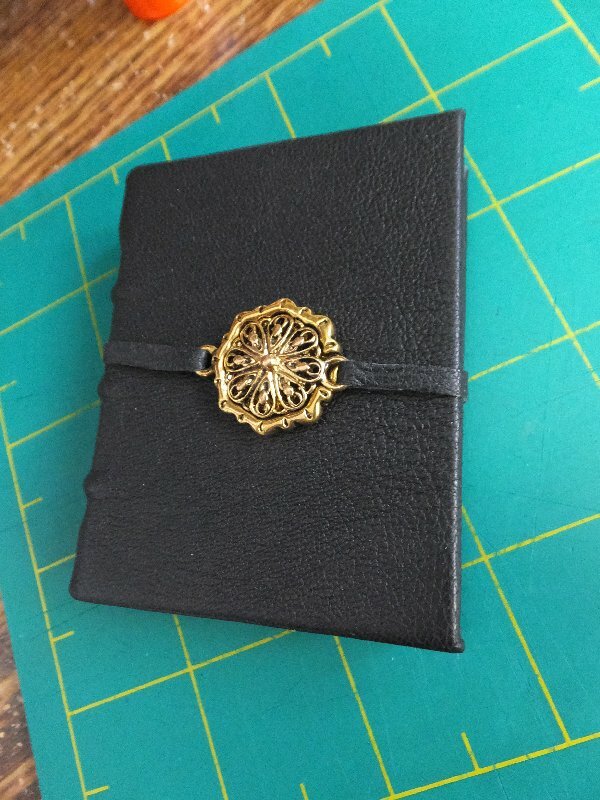 A pair of mini notebooks for best friends and horse lovers. 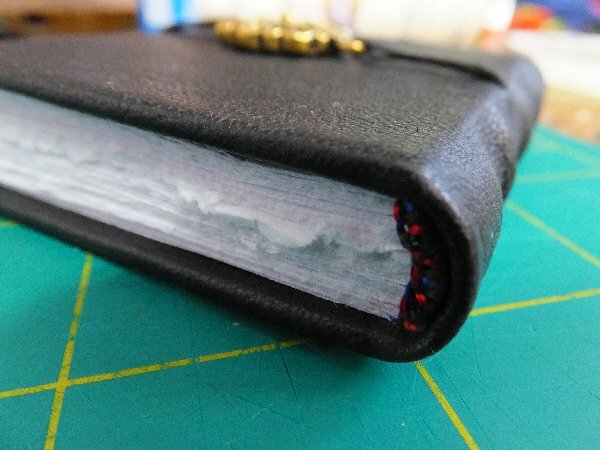 These are simple wraparound books with their binding showing on the outside. I’ve given then cords instead of chains because someone requested a longer necklace. 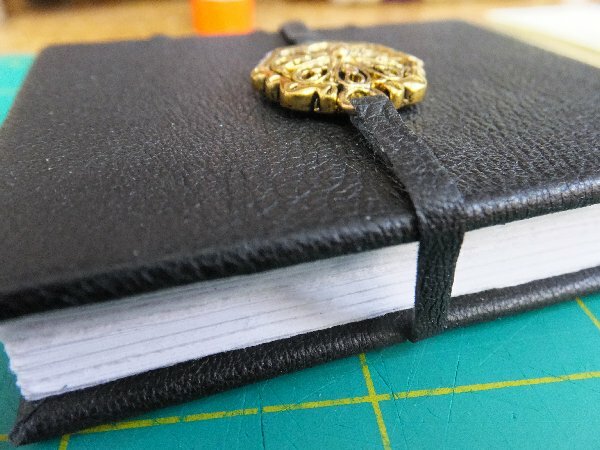 For now, here are a couple more notebooks finished recently. 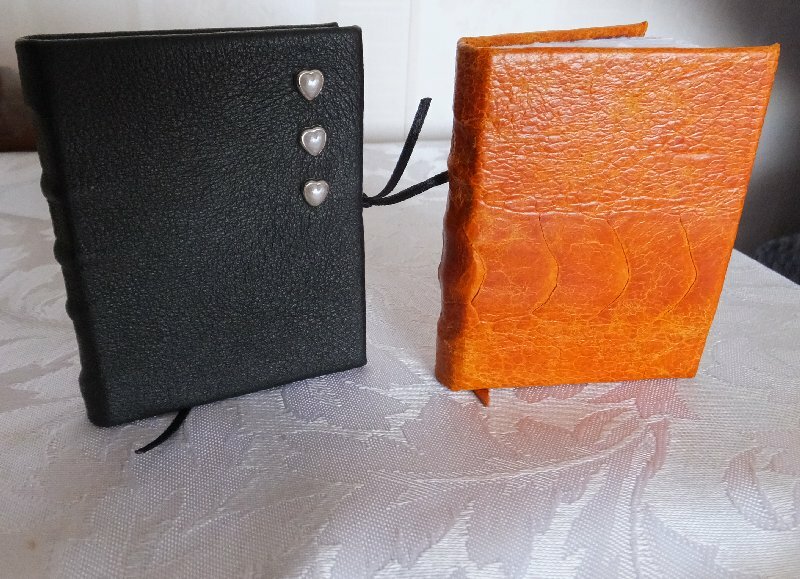 The orange one is ostrich skin, which was surprisingly nice to work with. It feels so nice I didn’t put any embellishments on. The black one is those leather pants with pearly heart brads and black ribbons. Both are loom bound and and 1/8 the size of a piece of paper. They still qualify as miniatures, but they are more useful as notebooks.